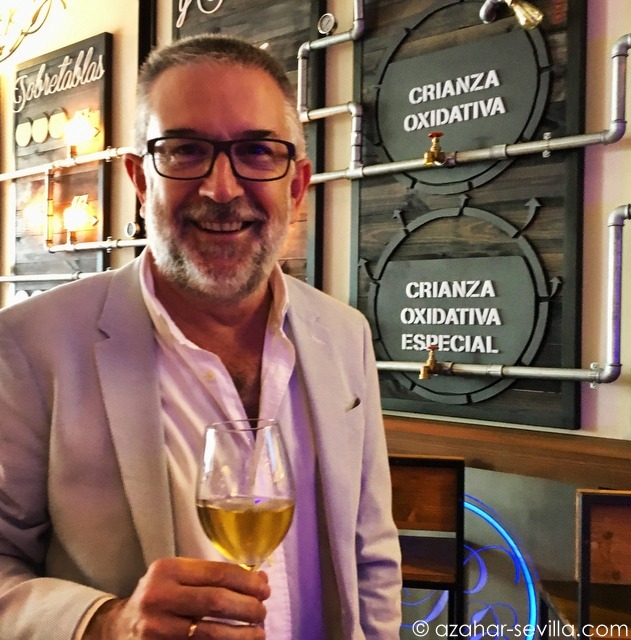 A new and welcome addition to the world of sherry in Seville, the Premier Sherry & Cocktail Bar had its official opening on October 19th, with a special master class tasting to showcase some of its brands. The sherry cocktail bar is the sixth establishment in the Premium chain, which was founded in 2010 by brothers Martín and Enrique Maíllo, and has until now specialised in spirits – rum, gin, whisky and vodka, together with a range of tonic waters. 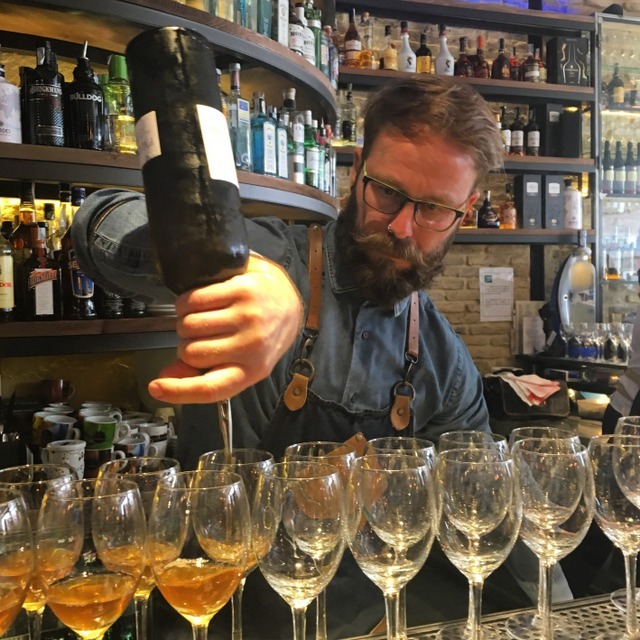 The sherry bar is therefore something of a new departure, but aims to maintain the high standards of the group in events, service and quality of product. In most respects the ambiance is what you might expect of a cocktail bar, with concealed blue light at the junction of walls and ceiling shining through the glassware and serried ranks of interestingly coloured bottles lining the shelves. It’s relatively small size and hints of exposed brickwork give it a subtle sense of intimacy that is quite appropriate to the nature of sherry. 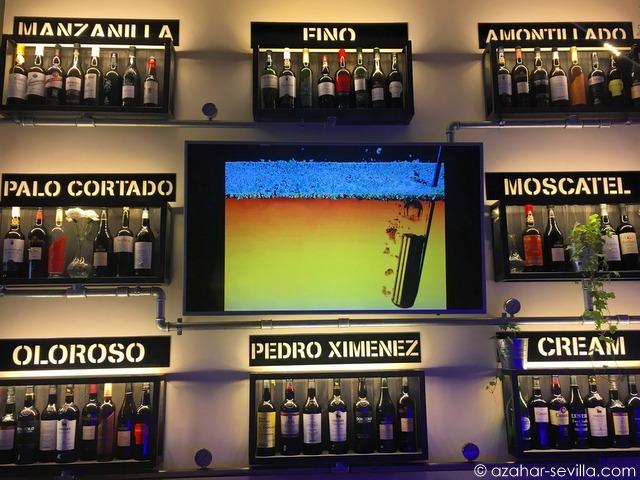 The unique element of the decoration, though, are the diagrams along the side wall, designed by José Peñascal, detailing the various grape and sherry production processes, and how they result in the different styles of sherry. 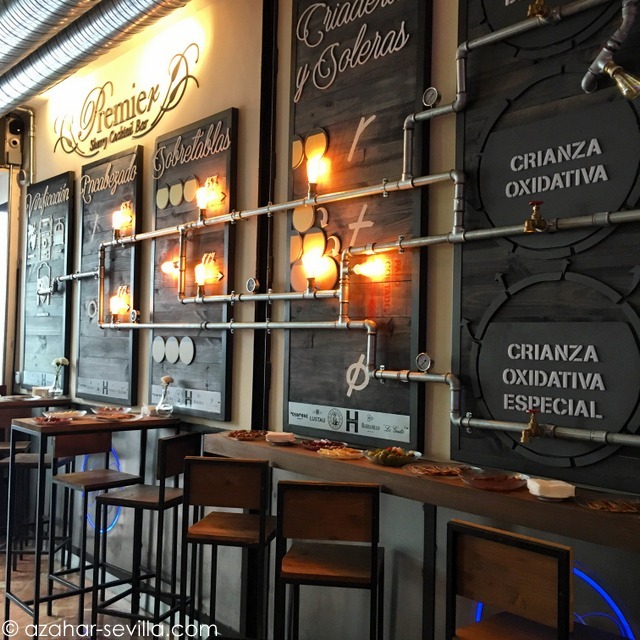 Aside from offering great wines and cocktails, the Premier Sherry Cocktail Bar also gives private tastings, in both Spanish and English, by appointment only. The space can also be booked for private events. 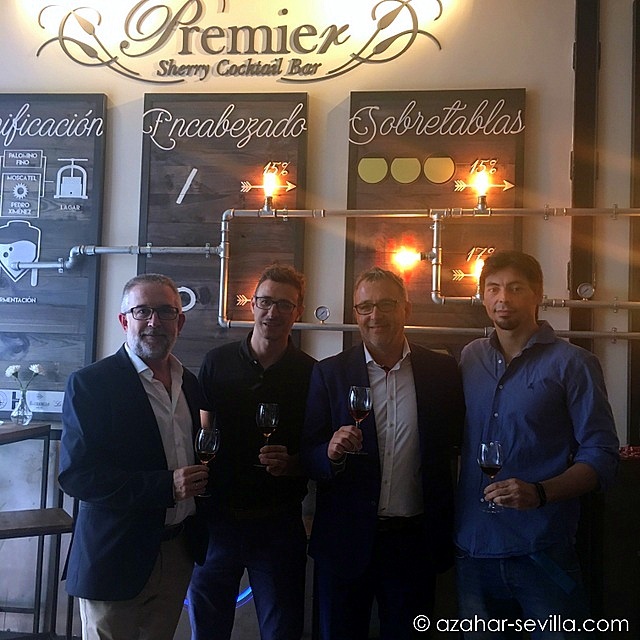 The opening day tasting was interesting and lots of fun, with as good an attendance as the venue really allowed, and was headed by sherry ambassador Pepe Ferrer. An excellent range of sherries from the Consejo Regulador was accompanied by delicious snack pairings. Many thanks to Cristina Botija and Desirée Ramos of Premium for organising the event, which I hope will be the first of many.